Just like your car or any other complex machine, your air conditioning system needs to be checked and serviced at least once a year. Why your air conditioning needs to be maintained and serviced? Simply, because along with your refrigerator, it is the only piece of equipment that works 24-7-365 for 12-14 years giving what you want the most: COMFORT. Maintenance prolongs useful life of the system. Maintenance allows technician to identify potential problems before it happens. Maintenance allows your system to perform at it's best, maintaining the efficiency standards by which your system was designed for. Maintenance prevents equipment failure and unexpected costs. Maintenance reduces energy costs which translates in money savings. REMEMBER: What your eyes can't see, your wallet will feel it. Designed for systems less than five years old. Systems older than five years that don’t require an "in-deep" checking due to the exceptional good shape they are. Systems in which customer desires or want this basic maintenance to be performed no matter the age or condition of the system. Inspect electrical connections at condenser. Vacuum – flush – test drain line including cleaning evaporator, coil drain pan. 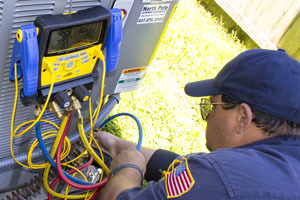 Inspect electrical connections at AHU and/or gas furnace. Inspect blower assembly including making sure blower wheel is tight to motor shaft. Visual inspection of evaporator coil. Check and adjust Freon charge including recording performance readings. Taking and recording actual amperages of all motors. Designed for systems older than 5 years. Systems that require an "in-deep" checking and cleaning due to age and conditions in which those systems are. Systems in which customer desires or want this detailed maintenance to be perform no matter the age of conditions of it. Includes all points of inspection of BASIC maintenance plus. Check all capacitors, including recording actual value. Check hard start kit, including recording actual value. Pull and clean blower assembly if necessary. Clean and sanitize AHU cabinet inside. Clean evaporator coil in place if accessible. Eliminate dirt, debris, vegetation from condenser unit. Recording of mold levels in blower assembly and AHU. 15% discount in labor and materials on any repair of any kind performed in your system. No overtime charges after hours or weekends. Priority on service calls and repairs. 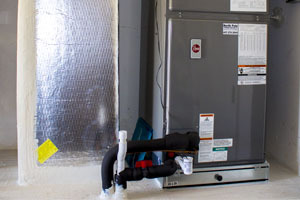 6 - month price “Lock-Up” on bid to replace your old HVAC system. This includes 15% discount of the total amount of bid plus refund of your last service call performed by Us in your old HVAC system plus free1year supply of air filters for the new system to be installed. The peace of mind of having an experienced NATE certified service technician and a certified air conditioning contractor performing for you. 25% discount in labor and materials on any repair of any kind performed in your system. All other benefits included in the basic maintenance. One time no contract maintenance services. Res. maintenance Heat Pump or Straight Cool condenser. These maintenance programs cover 1 visit per year and include 2lbs per system of Freon at no charge to customer. 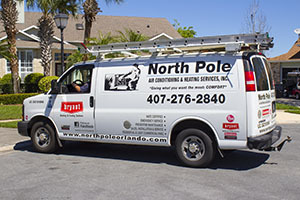 Here at North Pole air conditioning and Heating Services, Inc. we believe only 1 visit per year is all you need if service is done right at the first time. At the end of the service, customer will be shown job done for stamp of approval. Customer will receive a maintenance report stating all work done in the system, report that will be signed by the technician and customer as well. Our mission is to perform the best service at affordable prices to give you what you want most: COMFORT. We encourage you to try our services. You won’t be disappointed, after all: It’s all about you.